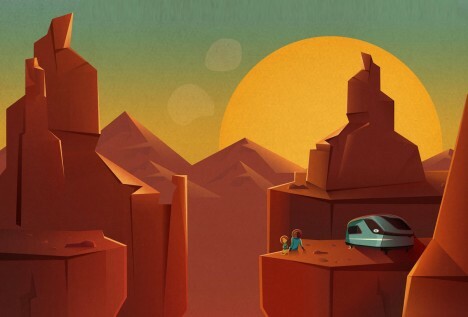 Not to be outdone by NASA’s series of exoplanet travel posters, SpaceX has revealed a similarly-styled series of designs to promote interest in making it to Mars (and ultimately colonizing the planet if Elon Musk has his way). 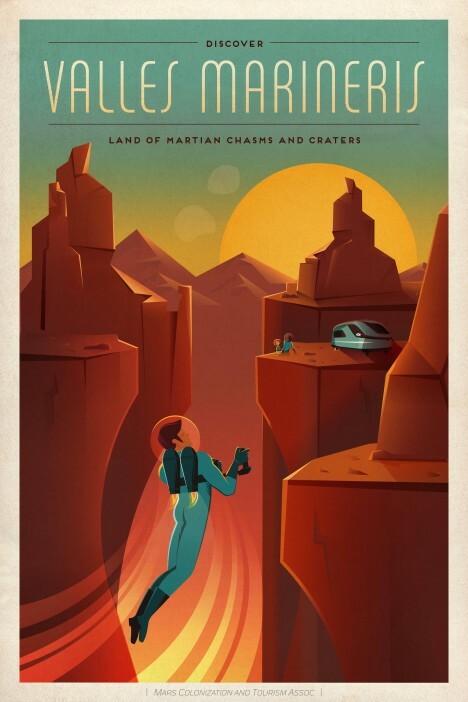 First stop: Valles Marineris, a seriously grand canyon spanning thousands of miles on the surface of the red planet and extending down to 3 miles in its deepest valleys. It may even have been formed by running water in the ancient past. 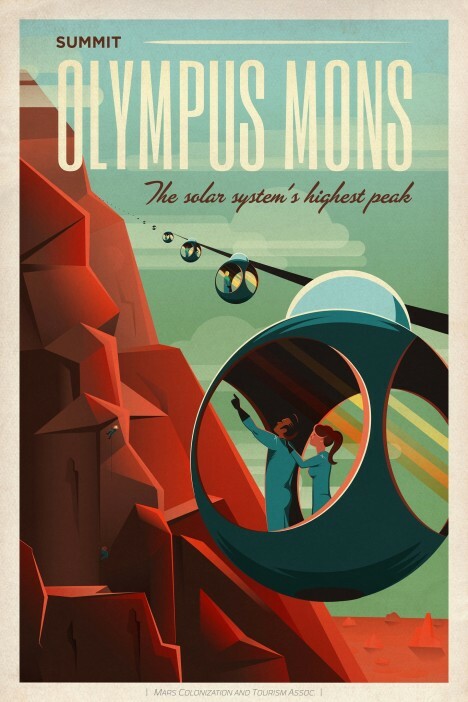 And then there is Olympus Mons, the tallest peak in our solar system standing three times higher than Mount Everest. 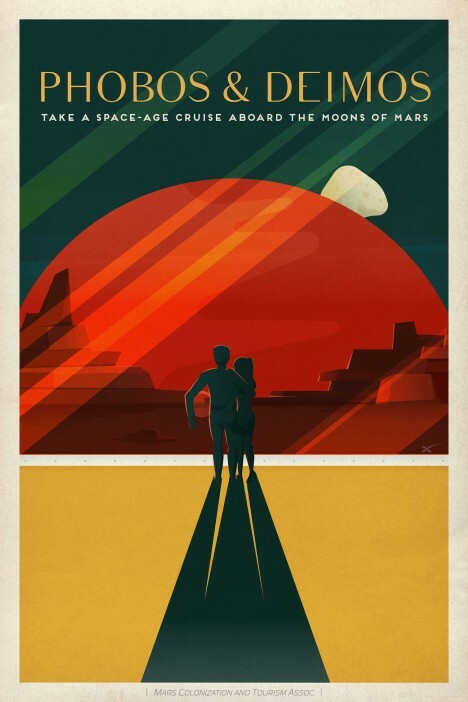 The jury is still out on whether it is volcanic, but perhaps a group of scientifically interested Martian tourists could settle the debate either way. Finally, we have Phobos and Deimos, moons of Mars each smaller than our own lunar sphere. Deformed by their proximity to the planet, these are not the rounded moon shapes we are used to. They also may end up making sense as a first place to settle around Mars as a set of transit hubs. See more in Retrofuturistic or under Vintage & Retro. May, 2015.